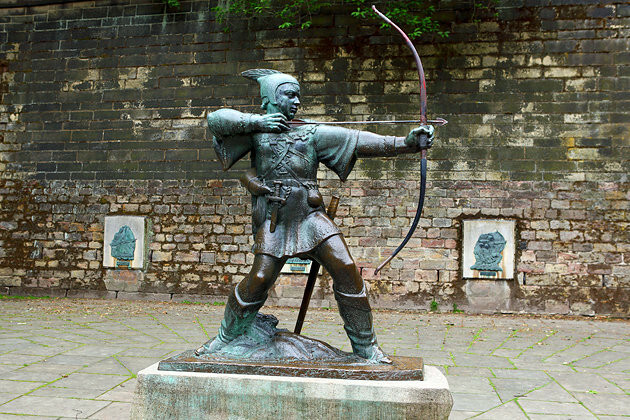 Real or fictitious, Robin Hood is definitely Nottinghamshire's most famous son. And Nottinghamshire doesn't do anything to clear up this debate, visitors will find all sorts of Merry Men related sights and attractions in amongst the beautiful green woods and vales. It also has plenty of genuine historic treasures. And then there's Nottingham, the lively hub. The best places to stay in Nottinghamshire range from central Nottingham city break pads to serene stately homes. Sherwood Forest is probably Nottinghamshire's most famous sight, a beautiful forest surrounding the pretty village of Edwinstowe, and housing the Major Oak - which according to local folklore is where Robin Hood hid-out. Whatever your feelings on Hood, the oak is an incredible sight, between 800 and a thousand years old and a vast network of branches, some of them now held up by scaffolding. The forest spreads wide around the oak and it is lovely, green and peaceful country to explore. As well as being heritage and conservation listed. Sherwood Forest is also home to a charming arts and crafts centre, and each August, an annual, week long Robin Hood festival with jousting, jesters, alchemists, fire eaters and other medieval entertainments. Still Hood related, but definitely factual this time, is Nottingham Castle, a grand looking sandstone house sitting on top of a warren of caves and tunnels. The original castle was founded by William the Conqueror, but today's version dates from the 17th Century. Part of the reason for the numerous castles is that Nottingham was a bit of an out of town try out for some bad taxes, and those living in the castle often found themselves fleeing via the tunnels to the river while the castle was destroyed by revolting peasants. These days there's an art gallery, as well as a museum, occupying the castle. Nottingham is also home to one of the pubs claiming to be England's oldest, Ye Olde Trip to Jerusalem Inn, off Maid Marian Way in Brewhouse Yard, which is also where some of the tunnels from the castle come out. This pub is at least 800 years old. Outside of Nottingham, Nottinghamshire has a number of very lovely stately homes, including Lord Byron's Newstead Abbey and architecturally fascinating Wollaton Hall. But Nottinghamshire also holds many reminders for those who lived less well, like the eerily empty mining towns and Southwell Workhouse. Our pick of the best places to stay in Nottinghamshire are both beautiful Georgian country house hotels, but for those who are looking for something a little less ostentatious there are plenty of B&Bs and coaching inns to choose from. 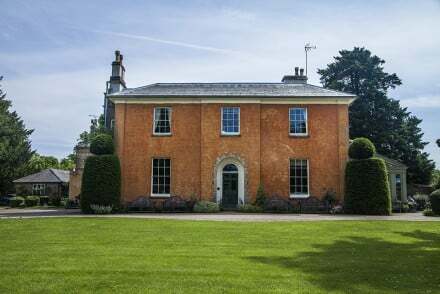 East Bridgford Hill is easily one of the best places to stay in Nottinghamshire if you're looking for an elegant country house with a traditional feel. There are only five bedrooms, so you really feel as if it's your home for the night! Langar Hall is a mildly eccentric, but quite magical apricot coloured Georgian stately home in the beautiful green Vale of Belvoir. It has been in the family of the current owner since 1860, and it's been gradually turned into a really charming, family friendly 12 room hotel. Add to this great food and stunning grounds and what more could you need? 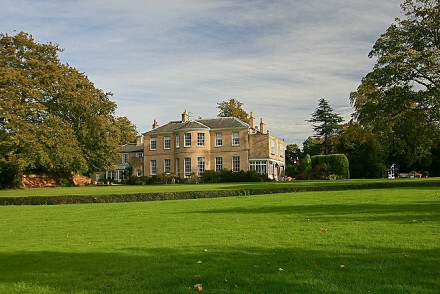 Still not sure which is the best place to stay in Nottinghamshire for you? Mildly eccentric, magical Georgian private home turned hotel in the Vale of Belvoir, run with panache, quiet, in beautiful parkland. Good food, child friendly. An elegant Georgian country house with a traditional feel and sweeping views. Ideally situated for intimate wedding parties and cosy house parties. Every convenience is available from business meetings to a homely bed and breakfast. Wedding license - Ideal venue to make your own with friends and family for the weekend. Views - Stunning views of the Trent valley. 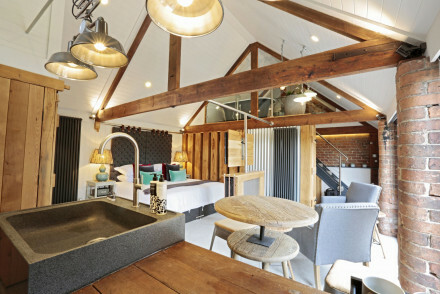 The Blacksmiths is a lovely gastropub with excellent rooms very near the Chesterfield Canal. Recently renovated, the interiors are a clever blend of old and new with plenty of exposed brickwork complemented by wood burning stoves and contemporary furnishings. Excellent food. Sights nearby - Visit the nearby Clayworth Church, home the famous Traquair Murals. Great walks - Lovely walks along the nearby Chesterfield Canal. 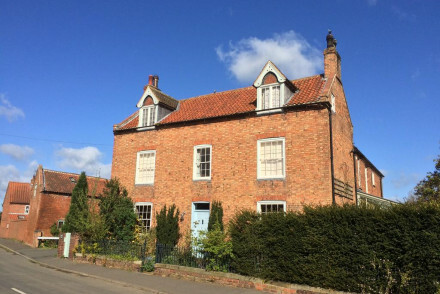 A traditional rural house in the pretty village of Norwell. A handful of individually styled rooms are brimming with character. Expect beamed ceilings, chintz fabrics and fireplaces. Homemade breakfasts are an indulgent affair and the welcome is ever warm. Country Escape - A charming village property surrounded by beautiful walking country. Local markets - Wander through Newark's farmer's market held in the town on the fourth Thursday of every month. Sights nearby - Visit the 11th century Minster in nearby Southwell. Great walks - Take long walks through Robin Hood country. Georgian former rectory B&B with extensive grounds and gardens. Guests have a choice of rooms - some with four poster beds - with great views of the local village and countryside. Dinners can be arranged on request, while the local pub serves a good menu. A great location for truly relaxing. 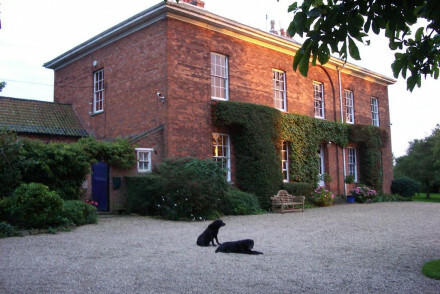 Country Escape - Located in the beautiful Vale of Belvoir in Leicestershire. Sights nearby - The historic town of Lincoln with its magnificent castle and cathedral is well worth a visit. Great walks - Take a wander round the extensive grounds or in Muston Meadows Nature Reserve. Local markets - The market towns of Melton Mowbray, Stamford and Newark are close by. 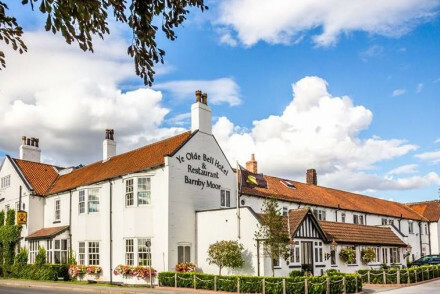 Set in a lovely 17th century coaching house, Ye Olde Bell is an excellent hotel in Nottinghamshire. The lovely rooms are adorned with ornate beds and tasteful antique furniture. The atmospheric restaurant is a great place to relax and enjoy some delicious cuisine and there is a fantastic spa. Great walks - The surrounding countryside is full of beautiful walking trails. Local markets - Browse the wares at Retford Market.